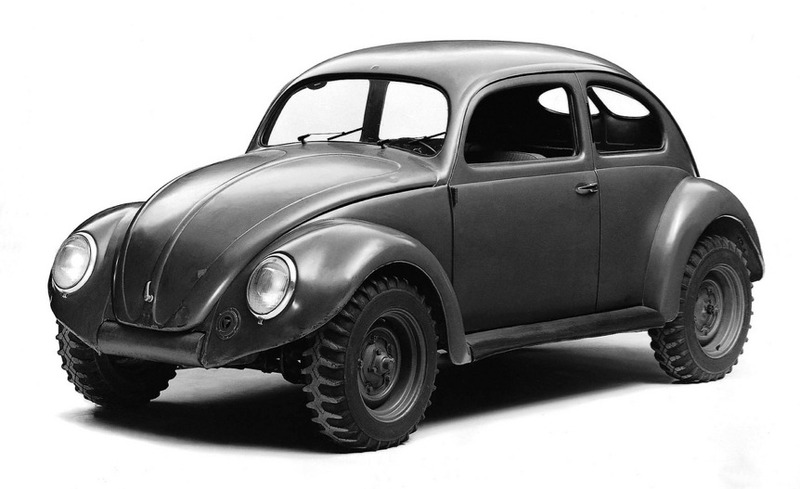 It isn’t widely known that there was a 4×4 Beetle produced in Germany during the second world war, the car was dubbed the “Volkswagen Kommandeurwagen” as it was primarily designed for use by the Wehrmacht. The Kommandeurwagen was a hodge podge of sorts, it used a KdF-Wagen sedan body, a Kübelwagen chassis and the Schwimmwagen (1st gear only) 4×4 system. 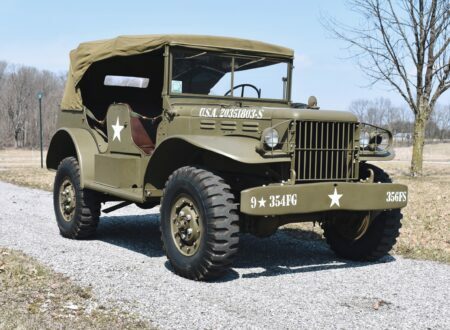 A total of 667 Kommandeurwagens were delivered during WW2 with only a very small number of originals lasting to the current day. Read more about the history here via Wikipedia (scroll down to the “Wartime Production” section).